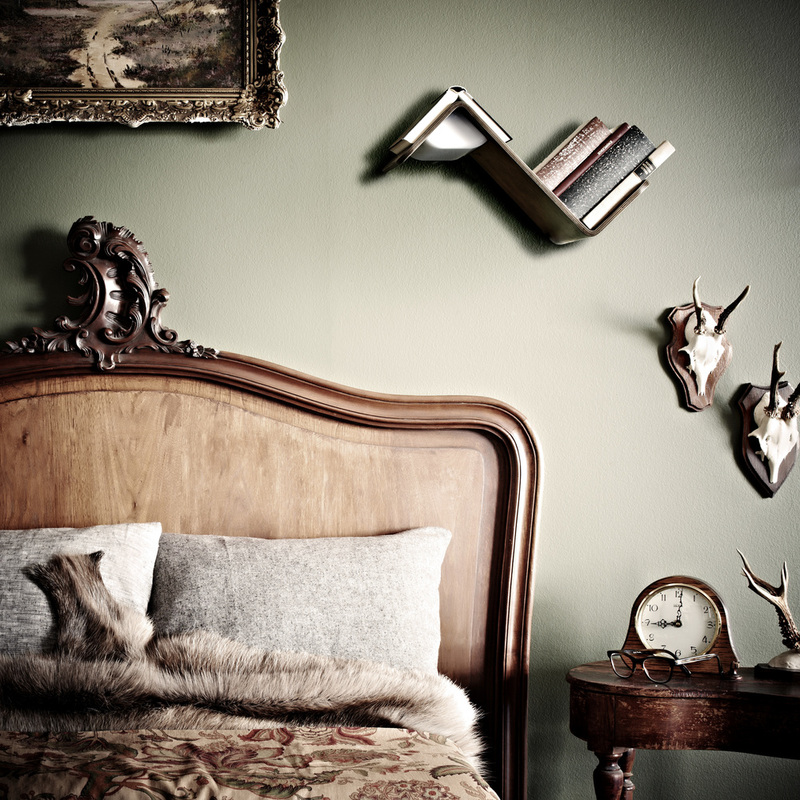 Reading in bed like never before. Introducing the ultimate, multifunctional product for reading in bed: LiliLite is a bookshelf, reading light and bookmark in one. When you pull your book from the wooden peak a sensor automatically turns the lamp on. LiliLite illuminates your book from the perfect angle. When you finish reading and put the book back on the peak it doubles as a bookmark. The sensor now automatically switches off the light again. LiliLite makes your bedroom clutter free and is a great space saver. Yes, I want a LiliLite ! LiliLite is feature-rich, simple to operate and aesthetically elegant. The subtle and timeless design was created to fit any and every interior regardless of room size, color-scheme and bed-size. LiliLite responds to your wishes: it turns itself on when you want to read and turns itself off when you are ready to sleep. Ease the clutter of your nightstand - LiliLite acts as your lamp, bookshelf and bookmark to make use of vertical wall space. Using interchangeable LED bulbs - in any color and intensity you like - LiliLite operates with maximum energy efficiency. If you want to use the lamp when you are not reading a book, there is also a manual switch in the cable. LiliLite is easy to mount on the wall and comes with step-by-step instructions. You won’t need a left and right version: just flip it. 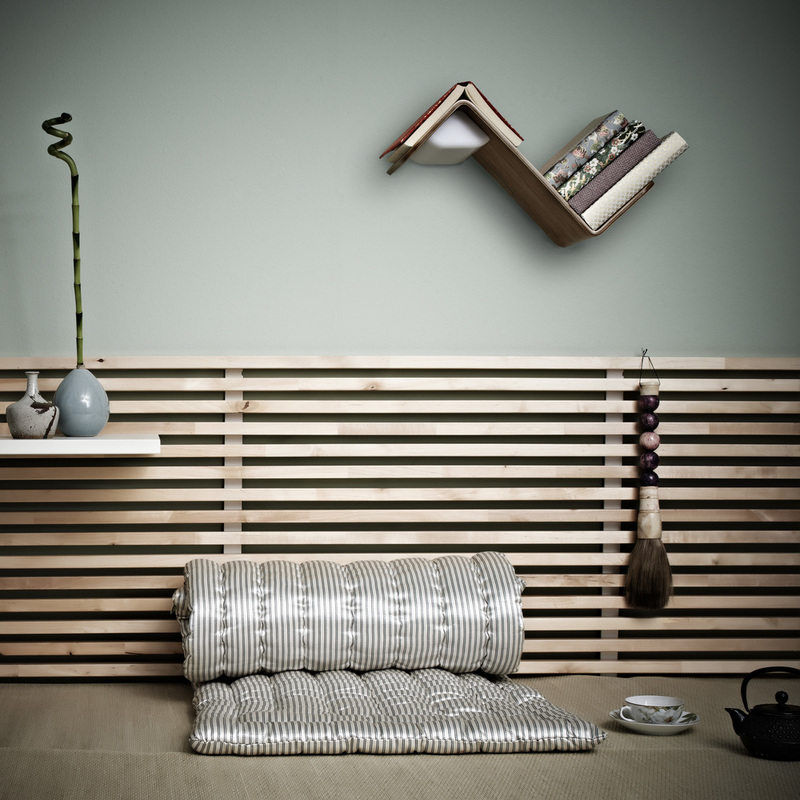 LiliLite's shelf is made of a single piece of steam pressed plywood, finished with a beautiful American oak veneer.